Saturday, November 25, 1911: Just exactly one month yet. I must begin to be good and oh so nice. I was terrible busy this forenoon. This afternoon I studied a bit and popped some popcorn. My first attempt resulted in half or about a third of the contents jumping out of the pan, but the next time I was more successful. Hmm, I wonder how the popping corn managed to jump out of the pan. 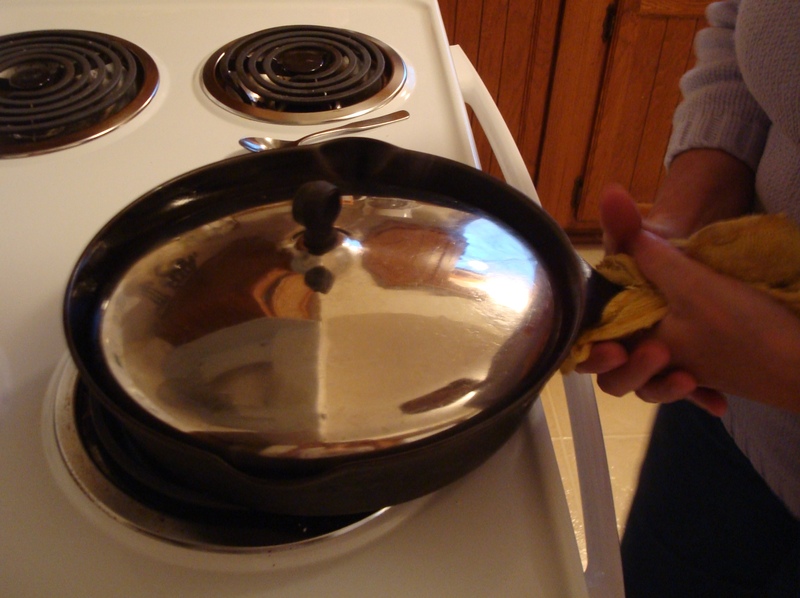 People used to pop corn in a heavy frying pan, but they generally put a cover on the pan. 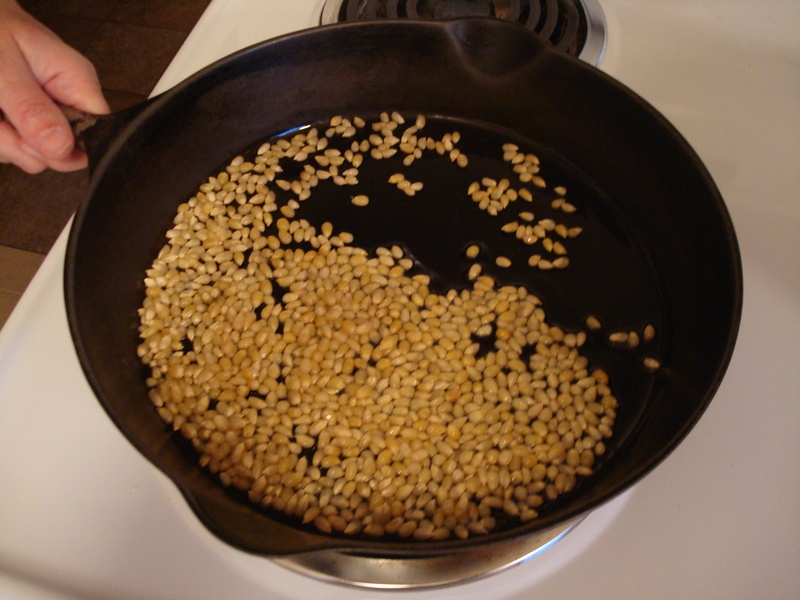 To make popcorn heat vegetable oil in a heavy frying pan until it is hot. Use a medium heat or flame. Put some popcorn in the pan. (Use about 1/3 cup for an average sized pan.) Cover pan. Hold about ½ inch above the burner and shake the pan. You don’t need to shake it rapidly; it’s okay to shake the pan relatively slowly. Shake until the corn stops popping, and then remove from the heat and open lid. Posted on November 25, 2011 August 30, 2015 by SherylPosted in Food, recipesTagged popcorn. This is the way we popped popcorn in the 60s and early 70s, until my mother purchased an electric popper. When I was a child my family had a popcorn pan that had a crank attached to the lid that we turned to stir the popcorn, but I can remember visiting friends’ homes where they made popcorn in a frying pan. 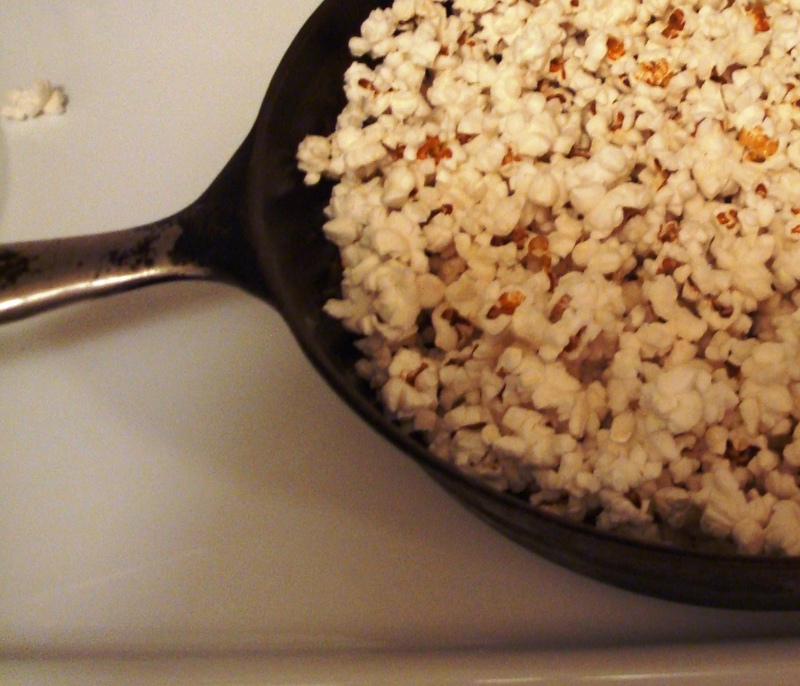 When I made popcorn in a frying pan to illustrate this post, I was pleasantly surprised how well it turned out.